Yu-Gi-Oh Duel Links Card Trader Tier List of required items for each tradable card available at the card trader NPC. The cost of each card varies on its rarity and requires Gold, SR Jewels and Stones. Below we explain everything you need to know about the YuGiOh Duel Links Card Trader NPC. 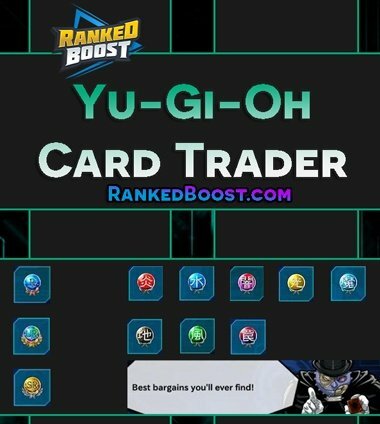 Want to Quickly Navigate to the Yu Gi Oh Duel Links Card Trader Guide? What Is The Card Trader? YuGiOh Duel Links Card Trader is an NPC shop where players can Trade items for Cards, Ultra Rare, Super Rare, Rare and Normal. Players Will Unlock The Card Trader at Stage 7. YuGiOh Duel Links Card Trader Items are used exclusively for Trading with the Card Trader NPC. Players earn these items by Completing Missions and Winning Duels, you also have the option of converting cards into Trader Items with Card Conversion. What Do I Find Card Trader? After you reach stage 7 the Card Trader can be found below the Shop. *Unlocked at Stage 17 Could be used in most aggressive decks that don’t use effect damage to gain the victory. Mythical Beast Cerberus [SR] One fo the Best YuGiOh Duel Links Card Trader Cards to get. Required to hit high scores using a Cerberus Deck, however, you should own atleast one. Bazoo the Soul-Eater [SR] A powerful reversal that strengthens itself up to 2500 ATK. This easily can put you in the lead if you’re primarily heavy on defense late into the game. Gravekeeper’s Oracle [SR] The play making card of Gravekeeper’s deck. A great tribute summoning card. *Unlocked at Stage 17 Can help you quickly obtain high ATK normal monsters, such as Axe Raider and more from your deck. Flash Assailant [SR] Can gain up to 2000 ATK easily since your beginning start hand is 4 cards in speed duel. Thunder Dragon [SR] You’ll need to obtain three of these cards they are needed. 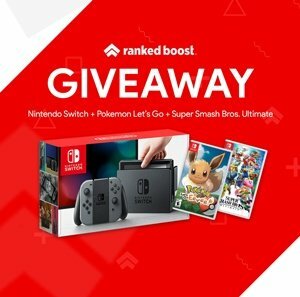 Any beatdown deck with fusion monsters. Twin-Headed Thunder Dragon [SR] Another Good YuGiOh Duel Links Card Trader Card. Required card for Thunder Dragon Deck. Twin-Barrel Dragon 1700 ATK is the absolute highest among effect lower level monster cards. it also has effect to send a card your opponent controls to graveyard. Embodiment of Apophis Has pretty high stats and also helps you proceed to tribute summon. Pot of Dichotomy only few of these type of cards that help you draw cards but the condition is quite hard to fulfill. Cyber-Stein This card has a superb effect and can be used with LP regard cards or with Tea’s “Life Cost 0” Skill. *Unlocked at Stage 17 Gives your monster spelllcasters 500 ATK boost, can also be used to draw additional cards. Celestial Transformation 1 of the few special summoned spell cards. Can perform Tribute Summons instantly. Polymerization Another YuGiOh Duel Links Card Trader Card that is quite necessary for decks with fusion monsters, it can be also received from leveling up Joey. Jar of Greed Allowing you to find the cards you need much quicker, very powerful.